Today in the USA we celebrate the life of Dr. Martin Luther King, Jr. Hillary Clinton recently drew fire with her suggestion that President Lyndon B Johnson helped to realize Dr. King’s dream with the passage of the Civil Rights Act of 1964. Visit the National Civil Rights Museum in Memphis, TN. The life, work and death of Dr. King will move you deeply. But Mrs. Clinton raises an important point. It takes a village to raise the issue and to make change happen. With all of his charisma, intelligence and skills, Dr. King relied heavily on others to not only see his dream come to pass, but even to shape the very nature of that dream. I think of the extraordinary efforts and contributions of Bayard Rustin, the Black, gay, Quaker, who fought for civil liberties beginning in the late 1930’s. Rustin served as the key organizer of the 1947 Journey of Reconciliation, the very first Freedom Rides. Rustin became a key adviser to King during the Montgomery bus boycott. He first visited Montgomery in February 1956, and published a ‘‘Montgomery Diary,’’ in which, upon observing a meeting of the Montgomery Improvement Association, he wrote: ‘‘As I watched the people walk away, I had a feeling that no force on earth can stop this movement. It has all the elements to touch the hearts of men’’ (Rustin,‘‘Montgomery Diary,’’ 10). Rustin provided King with a deep understanding of nonviolent ideas and tactics at a time when King had only an academic familiarity with Gandhi. Rustin later recalled: ‘‘The glorious thing is that he came to a profoundly deep understanding of nonviolence through the struggle itself, and through reading and discussions which he had in the process of carrying on the protest’’ (D’Emilio, 230–231). King recognized the advantages of Rustin’s knowledge, contacts, and organizational abilities, and invited him to serve as his adviser, well aware that Rustin’s background would be controversial to other civil rights leaders. 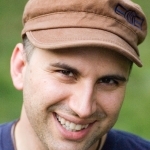 As King’s special assistant, Rustin assumed a variety of roles, including proofreader, ghostwriter, philosophy teacher, and nonviolence strategist. 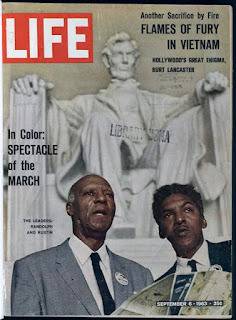 Along with long-time Civil Rights activist and leader A. Philip Randolf, Bayard Rustin organized the famous 1963 March on Washington where Dr. King delivered his I Have a Dream speech. 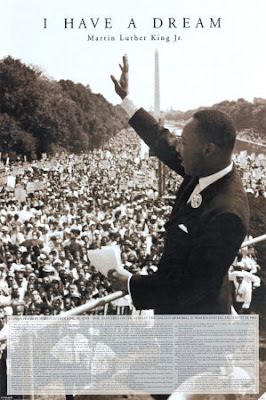 Dr. King appeared among several other leaders whose organizations helped sponsor the event, but the idea behind the march and the work of organizing it fell to Randolf and especially to Rustin. What too often happens in the US is that ONE hero emerges both in our history and our movies. This one larger than life figure looms over us as an example of what one man can do. But what about the women and the men working alongside of that man? What about the people who went before that man opening the ways, building a movement? What about someone like Bayard Rustin, brilliant, vital to the movement, but also openly gay in a time and place when that rarely happened? History, the media and our own deeply ingrained concept of heroes erase or cover over the contributions of someone like Bayard Rustin. In the US we only have two national holidays that celebrate individuals. One is for Christopher Columbus and the other for Dr. King, two men who both had a quest for a dream. We have begun to see how historians distorted the story of Columbus manufacturing a hero to admire all the while overlooking the genocide he helped to initiate thus opening the doors to the slave trade in the colonies. Dr. King on the other hand brought about good and positive change to this country. His life and death helped pave the way for presidential hopeful Barack Obama. But Dr. King did not act alone, and by celebrating him as the lone hero, we teach each other the wrong lessons about activism. No one person can bring about change, and when we think otherwise, we despair that we can ever make a difference. Today in the USA we celebrate the life of Dr. Martin Luther King, but let us also celebrate all the people instrumental to his life and work. 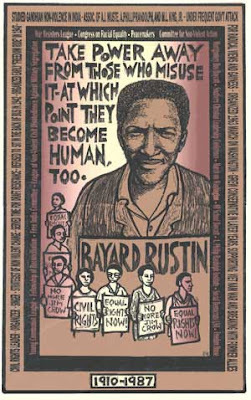 You can read more about Bayard Rustin in an article published today at 365Gay.com or at another piece published in the New West Network. This is one of the places where our cultures are very different. In Sweden we don’t have many heroes in that way. We don’t like strong leaders at all. If a politician is talked about being a strong leader that is something negative, that leader don’t take good advice and will misuse power. I think it is only Jesus that could get his own day over here.